Here are the promised pictures from the top of the Monument Interallie. First, a general view of Liege. The enormous stingray is the new train station by Santiago Calatrava. It will be finally inaugurated next week. 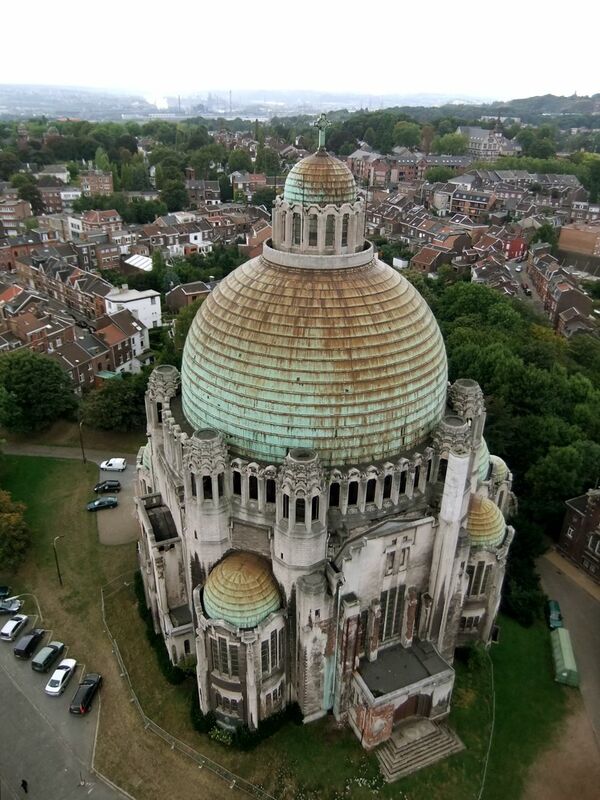 From the other side of the tower you get an excellent view of the Basilique de Cointe. Still no news of when or whether it will be restored. 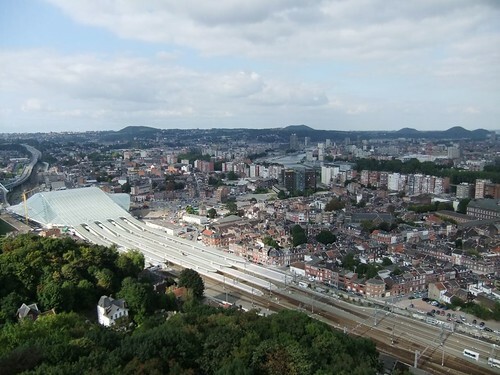 The latest suggestion of the Institute of Walloon Heritage was to transform it into a rock concert hall. What is clear though it that the Catholic Church is not interested in restoring this building which, apart from being a memorial to the dead of WWI, is also a consecrated church of the Sacré-Coeur. What an awesome view of the city! That train station is so huge (and I'm envious — there's no such train system in the Philippines). I hope the church gets restored, no matter what its final use will be. It should make for a great concert hall. I've discovered that most churches have great acoustics (though I have no idea why). Fantastic view of the city and what a train system! Wow! Wish we had something like that in Seattle! The second shot is truly stunning! A real breath taker! I especially love the basilica photo from overhead! Great!